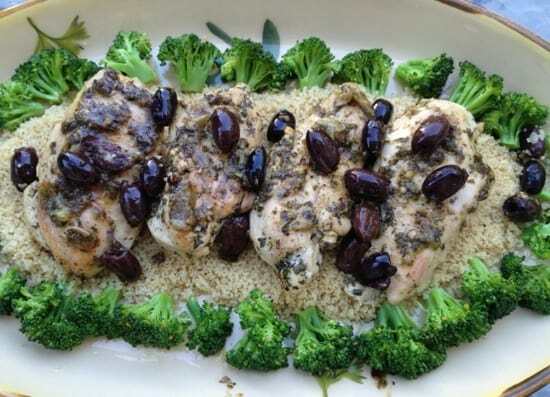 Chicken with lemon, olives & herbs served on a bed of couscous and broccoli. 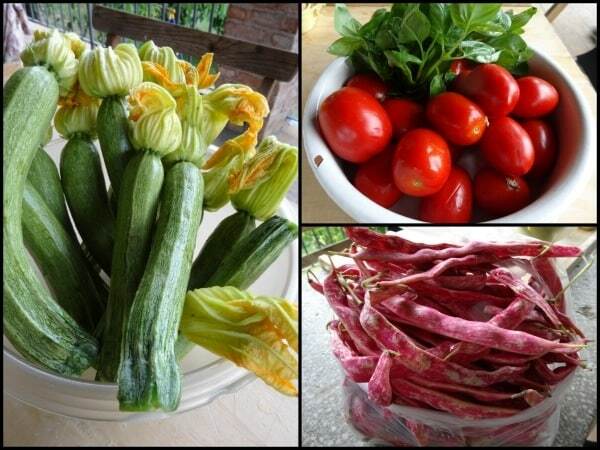 Alessandra brought ingredients from the local farmers market. Plus, she took my kids on a “treasure hunt” picking fresh herbs from the farm’s garden. 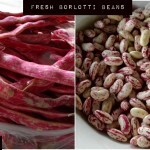 Looking at these beautiful, fresh ingredients, I knew the food was going to be amazing. 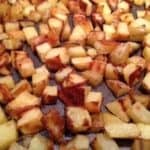 Alessandra made all the recipes seem quick and effortless. My kids especially loved the hands-on work of making dough for pasta and cookies. When my kids tired of cooking, they went off with my husband and swam in the pool, which left me all alone to savor my cooking heaven. 1. 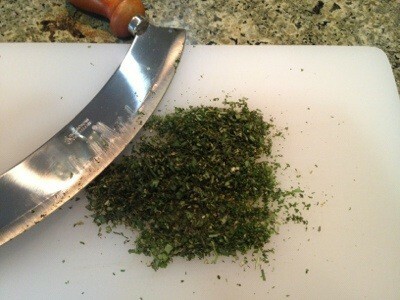 Chop herbs with a mezzaluna. Italians chop their herbs with a kitchen tool called a mezzaluna. 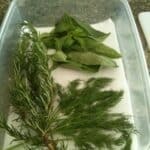 It cuts the herbs without bruising and mushing them. It can cut finely and quickly. Just hold the handles and rock the blade back and forth quickly over the ingredients. I’m always game for a new kitchen tool. Thank you to Heather, our culinary guide, who gave me one as a gift to take home. 2. Use all your senses to cook, including hearing. Alessandra doesn’t use a measuring cup for the wine in this recipe. She pours it straight from the bottle into the hot pan and listens to the wine as it “sings.” As the wine hits the hot pan, it bubbles and makes a sizzling noise. The sound goes up in pitch until it hits a crescendo. Then, all of a sudden, the volume gets softer and the pitch levels off. Right at that moment, she stops adding the wine. Wow, now that’s intuitive cooking. I was so excited to have a completely new way to think about cooking. 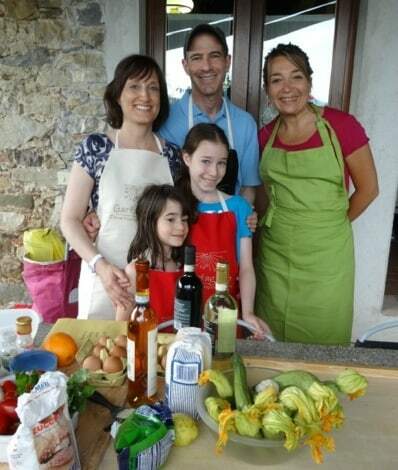 At the end of the cooking class, my family and I enjoyed a spectacular Italian feast. Each dish was divine, and my kids even enjoyed new foods. 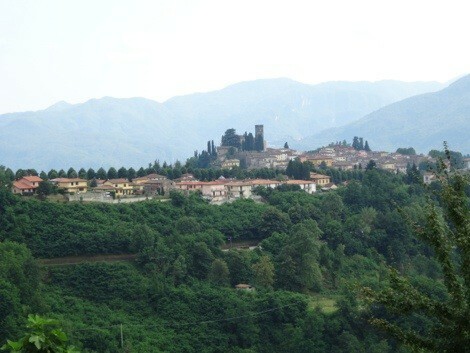 We dined on our terrace with the best of Italy– amazing food and a gorgeous view of the hillside town of Barga. We had so much extra food that we shared with our neighbors, like-minded foodies from Denmark. We enjoyed wine and conversation with our new friends into the night. We watched all the kids have fun playing with each other even though they didn’t speak the same language. Food and play are universal languages. Truly, it was magical night at Al Benefizio. I came home with Alessandra’s recipe booklet so I can try to re-create the magic at home. 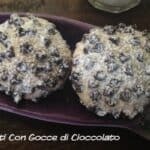 I am always looking for a new way to prepare chicken, so I am happy to have her recipe which is full of Tuscan flavors like olives, wine, lemon, and fresh herbs. I love that this recipe can be prepared ahead. This dish is great for company or a family meal. Enjoy. 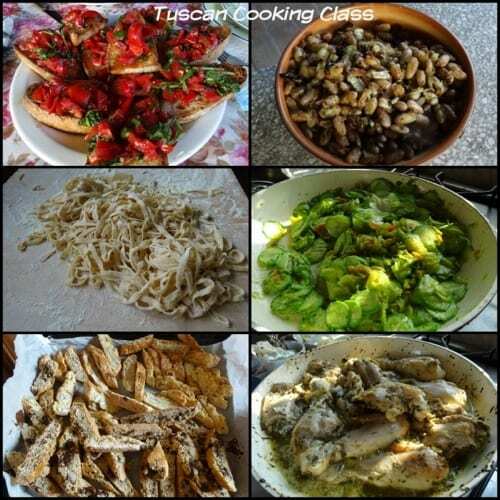 This chicken recipe is adapted from Alessandra, our cooking instructor in Tuscany. 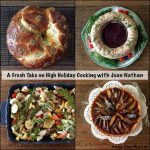 All of her recipes are accessible and fabulous. ⅓ cup very finely chopped fresh mixed herbs (like rosemary, sage, thyme, and/or tarragon), which is about 3 handfuls of leaves before they are chopped. 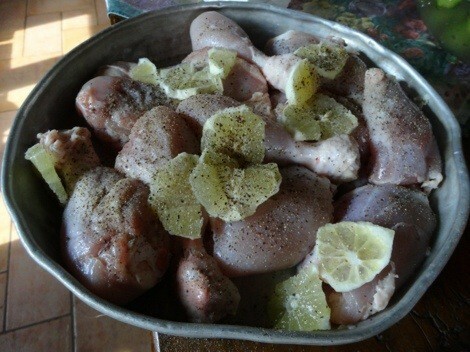 Marinate the chicken in salt, pepper, and lemon slices for about 30 minutes. In a 12" skillet, cook the herbs and garlic in olive oil on a low flame for about 5 minutes. Turn the flame to medium and add the chicken (without the lemons), coating both sides of the chicken in the herb mixture. Lightly brown the chicken on both sides. Scrap and move around any extra herbs/garlic so they don't burn. Pour in white wine and reduce by evaporation for about 5 minutes. Add the lemon slices and olives. Continue cooking until the chicken is cooked through. Add in a little water if chicken starts to get dry. Serve within 30 minutes. If planning to make this dish a day ahead, use chicken with bone-in and skin on. Also, add a little water. Re-heat on the stove or a 300 degree F oven for about 15 minutes. Take care not to over-cook. Wow, that looks so delish! Thanks for sharing your experience with us! 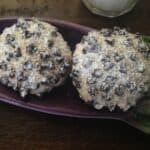 Thank you for checking out my recipe. I saw your blog too. It sounds like we spend our free time similarly.